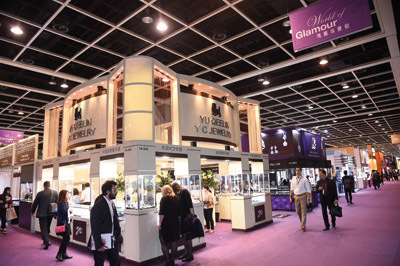 Two of the jewellery industry’s leading trade fairs are set to open in Hong Kong in early 2017. 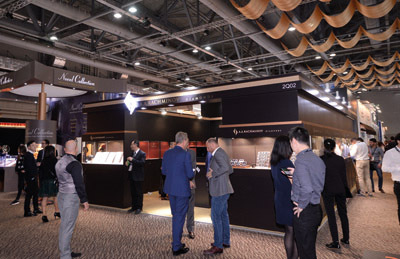 Organised by the Hong Kong Trade Development Council (HKTDC), the 4th Hong Kong International Diamond, Gem & Pearl Show will take place from 28 February to 4 March at the AsiaWorld-Expo, while the 34th Hong Kong International Jewellery Show will open from 2 to 6 March at the Hong Kong Convention & Exhibition Centre. The two shows will welcome more than 4,380 exhibitors from over 50 countries and regions, forming the world’s largest jewellery marketplace. The twin shows attracted over 80,000 trade buyers from 147 countries and regions in its 2016 edition, which served as an ideal platform for exhibitors to expand business in international markets. Various associations and organisations from around the world will continue to set up group pavilions at the shows. Pavilions will come from the Chinese mainland, Taiwan, Japan, Korea, Thailand, Myanmar, India, Sri Lanka, Tanzania, Israel, Turkey, the UK, France, Germany, Italy, Spain, the US, Peru, Columbia, Brazil and so on. And, the Jewellery Show will receive new exhibitor from Vanuatu. There will be a number of themed zones with the prominent Hall of Fame bringing more than 30 internationally acclaimed jewellery brands, including Roberto Coin s.p.a. and Piero Milano Jewellery from Italy, Pranda Jewelry Public Co., Ltd. from Thailand, and Hong Kong’s Lady Heart Collections Ltd and Unrounds (HK) Limited. Hall of Extraordinary will house the most prestigious jewellery collections, including Crivelli s.r.l. from Italy, Thomas Faerber SA from Switzerland, and Hong Kong’s Dehres, On Tung Company and Karen Suen Fine Jewellery Limited. Other themed zones include Designer Galleria with stylish pieces and collections; World of Glamour, spotlighting the craftsmanship of Hong Kong exhibitors; Hall of Jade Jewellery collects a wide range of exquisite jade pieces; Antique & Vintage Jewellery Galleria emphasises the charm of classic jewellery; Treasures of Craftsmanship parades sophisticated decorative items; Hall of Time presents luxury watches and clocks; and Wedding Bijoux. Additionally, organised by the HKTDC, the Hong Kong Jewellery & Jade Manufacturers Association and Italian Exhibition Group S.p.A, the T-GOLD+METS pavilion will showcase professional jewellery and watchmaking machinery, equipment, technology and supplies. The Diamond, Gem & Pearl Show will focus in jewellery raw materials such as loose diamonds, previous stones, semi-precious stones and pearls. Well-known exhibitors include Paul Wild from Germany and Hong Kong’s Novel Collection Ltd, Man Sang Jewellery (Hong Kong) Ltd and Yee On Gems & Jewellery Factory Company Ltd. Several dedicated zones are set up for specific jewellery raw materials, including Hall of Fine Diamonds for quality diamonds; Treasures of Nature for precious gemstones; Treasures of Ocean for exquisite pearls; and Rough Stones & Minerals zone for unpolished and uncut precious stones. Organised by the HKTDC, Hong Kong Jewellers’ & Goldsmiths’ Association, Hong Kong Jewellery & Jade Manufacturers Association, Hong Kong Jewelry Manufacturers’ Association and Diamond Federation of Hong Kong, China, the 18th Hong Kong Jewellery Design Competition aims to foster local creativity and innovation in jewellery designs. With the theme of “Follow Your Heart”, works have to present the passion of the designer while manifest the uniqueness of jewellery art. Entries of open group and student group will be evaluated based on creativity and innovation, aesthetics, craftsmanship and wearability and relevance to the theme. Open Group entries will also be judged on marketability. Judges who serve on this year’s judging panel include Kevin Ng, Chairman, Hong Kong International Jewellery Designer Association; Dr Adam Lau, Chairman, Hong Kong Jewelry Manufacturers’ Association; Victor Chan, Executive Director, Continental Holdings Limited; Donald Tung, Managing Director, Emperor Jade Timepiece Limited; Derek Put, Founder and Chief Operating Officer, Mastermind Manufacturer Ltd; David Lo, Chairman, Hong Kong Designers Association; fashion designer Mountain Yam and top model Sofie Lee, who is also the Co-founder and Director of Savvy Advertising. The biannual International Jewellery Design Excellence Award (IJDE) is the Oscars of the jewellery design industry with an aim to recognise outstanding jewellery designers and facilitate information exchange in design, professionalism and craftsmanship. The award gathers the champions of various jewellery design competitions worldwide to run for the champion of the champions. The judging panel is formed by professionals and celebrities including Lawrence Ma, Chairman, HKTDC Hong Kong International Jewellery Show 2017 Fair Organising Committee; Michelle Ong, Founder and Design Director, Carnet; Emme Wong, Executive Director, Galtiscopio Limited; Jeff Chan, Specialist, Christie’s Asia; Irina Slesareva, Chief Editor, Jewellery Review from Russia; Fei Liu, Director, Fei Liu Fine Jewellery and editor of l’Orafo Italiano from Italy. Award presentation ceremony will be held on the first day of the Jewellery Show (2 March) and winning entries will be on display at the show. The shows will present a host of activities such as jewellery parades, seminars, forums and networking events that provide industry players with market insights and the latest intelligence. 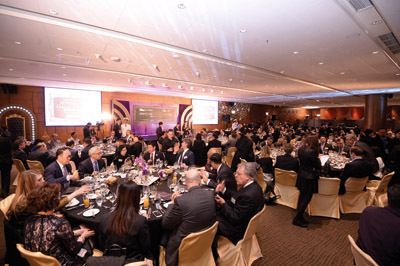 On the first night of the Jewellery Show (2 March), a cocktail reception and gala dinner will be held. Guests will be able to enjoy a night of fine dining while networking with other industry professionals.